Accelerate Driving School - Driving Schools Oxley provide a wide range of driver education services to Oxley and the surrounding area, including driving lessons, one-on-one instruction and log books with our qualified instructors. Accelerate driving school prides itself on Safety and Technique and our commitment is to provide you with the best training possible in a professional, reliable and safe environment. 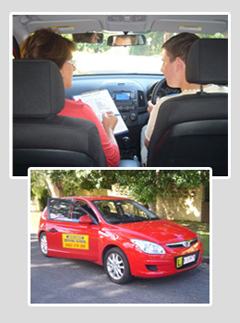 Accelerate Driving School - Driving Schools Oxley have many years experience in driver education, servicing clients within the Oxley area. In the course of your lessons you will learn how to pass a Queensland Driving Test. However, our priority will be more focused toward teaching you safety and proper driving techniques. From driving lessons to log books, Accelerate Driving School - Driving Schools Oxley has the expertise to assist you with all your driver education requirements. At Accelerate, we realise that every student is an individual and we all learn at different speeds. For that reason it is important not to compare yourself with others. We should treat having a driver’s license as a privilege rather than a right. It is our responsibility as drivers to drive as safely as possible to ensure not only our safety but others as well. Remember you are not the only car on the road and common courtesy makes a big difference out there, even if others aren’t! At Accelerate Driving School - Driving Schools Oxley our focus is delivering a high quality service at a competitive price to all our clients. You’re probably going to be excited and very nervous but rest assured as our instructors are patient and experienced in dealing with beginner drivers in both automatic and manual cars. We are also experienced with automatic drivers wanting to upgrade their skills to include manual. So why not give us a call. We are happy to answer any of your enquiries!